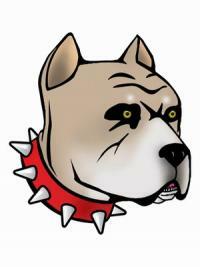 The variety of Pit Bull tattoo designs reflects the many ways people perceive this breed of dog. People who love Pit Bulls are some of the most passionate and enthusiastic dog fanciers. 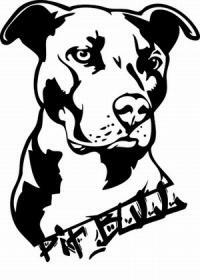 The adoration of the breed is seen often in the beautiful artwork and moving tributes found in Pit Bull tattoos. These dogs are often misunderstood by the public and seen as aggressive and dangerous. 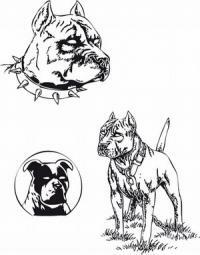 Some of the tattoo designs that include Pit Bulls reflect this sentiment. These dogs are also viewed as a symbol of steadfast power, courage and loyalty. They are often portrayed in tattoo designs in much the same way as lions, wolves and tigers are used as expressions of strength and beauty. 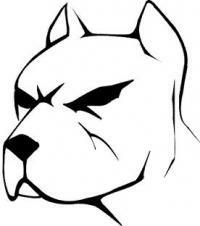 Many Pit Bull tattoo designs are beautiful tributes to the breed or a beloved pet. Pit Bull lovers are uploading photos of their body art all over the internet. Tattoo Johnny.com - This famous online tattoo flash art supplier is very popular and offers many portrait quality designs of Pits that would make fantastic tattoos. Liquid skin - Here is another source for tattoo flash featuring this breed. BodyMod.org - Here you'll find an actual tattoo image posted by a member. Pit Bull tattoos that reflect the sheer will and physical strength of these majestic dogs are quite popular. 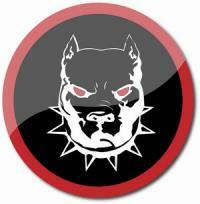 These designs often depict a fierce dog and are sometimes accompanied by other powerful symbols such as fire. 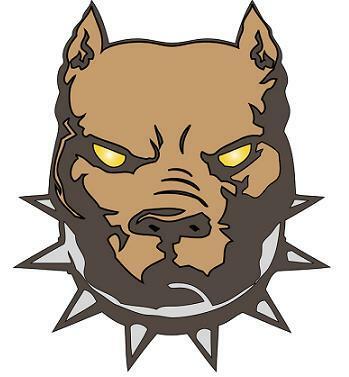 Unfortunately, Pit Bull tattoo designs are sometimes worn by members of various groups to symbolize anger and intimidation. In the movie American History X, actor Ed Norton plays neo-nazi Derek Vineyard. The character in the movie has what appears to be a Pit Bull tattoo on each shoulder blade. Although these dogs are naturally aggressive toward other canines, it only adds to the misconceptions about the natural disposition of this breed when Pits are portrayed as symbols of violence and negativity. 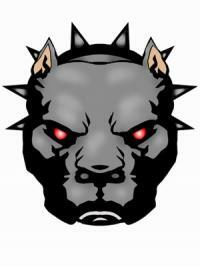 Perhaps one of these designs will become the base for your own tribute to the Pit Bull.